More robots or roboticists for Google with Nest acquisition? – LET'S TALK ROBOTS! More robots or roboticists for Google with Nest acquisition? At least, Google is certainly getting more roboticists with the Nest acquisition that was announced today, even if smart consumer appliances are just barely on the robotics spectrum. Alongside Google’s recent acquisition of eight robotics companies, there has been a slow and steady flow of robotics talent into the Silicon Valley based behemoth. The small sampling of roboticists I’ve spoken to who are employed at Google have shed little light on future plans, but it is striking that with so many roboticists, now spread across so many different areas, that a unified robot research park seems the least likely outcome. Perhaps Google is collecting libraries and IP instead, in the same way that Wolfram is talking about owning the database of the internet of things. 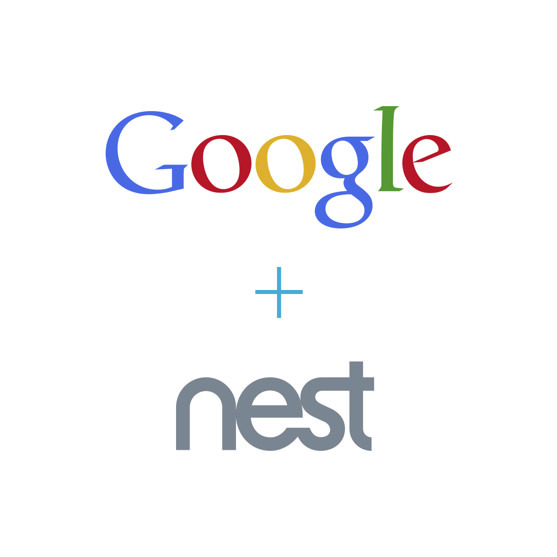 Google is to buy Nest Labs, Inc. for $3.2 billion in cash. Nest launched in 2011 with a smart thermostat and has recently launched a smoke alarm. Both products are doing very well in sales. Nest will continue to operate under the leadership of Tony Fadell and maintain a distinct brand identity but as a part of the Google stable. For more information from Nest as to the transition. Colin Angle, CEO of iRobot, described Google’s recent acquisitions as a logistics play around self driving vehicles and that when Google solved the first mile/last mile problem, iRobot was planning on meeting them at the house door. Well, it might now be too late for iRobot to take control of the home robot space. I think Google has plans for automating whole of house and all the data. This fits in well with Google’s advertizing business model and allows sensors to give more context to our smart devices, creating a more independent sophisticated human robot relationship. There are plenty more robotics companies left for Google to acquire, but if I were looking it would be interesting to consider Unbounded and Otherlab.